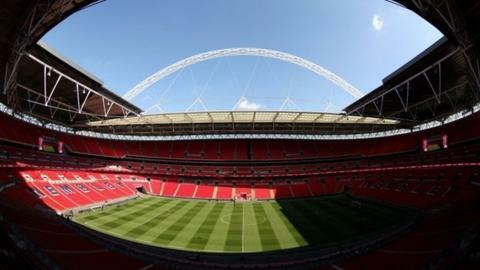 A Football Association commission has announced four key recommendations to boost English football's fortunes at club and international level. At the heart of the plan is the creation of a new tier within the Football League to accommodate Premier League B teams. The plan has stirred up some passionate debate with opinion on its recommendations dividing the football community. Here are some views from leading figures in the debate on the pros and cons of the recommendations. "We set out to answer one simple question: How can we get more English players playing at the highest level? Our attention is not in any way to undermine the traditions of our football pyramid. I believe we will enhance them by having young players at the top." "We are much wiser than when this process began and now have a strong body of work that will stop us wondering how we compare to other countries." "If it continues in this trend over the course of the next five or 10 years, we will have maybe 10 per cent of English players playing in the Premier League. That means the England manager, whether that be Roy Hodgson or any future managers, will be picking players for the England team from the Championship." "Anyone who cares about the game in our country knows something needs to be done about the lack of England players playing regularly in the Premier League. That's why the work of the FA chairman's England Commission matters and I was buzzing to be involved." "I have now read the full FA report. Some important points in there that have been ignored because of this B team league nonsense. We need to focus on points surrounding the coaching and cultural development of young players and lack of funds for coaches, facilities, etc." "We have the most professional clubs, the biggest attendances and the most professional players. If we could only match that club success with international success, it would be perfect." "It (the report) is focused in the right area - the key part being that the development of players is missing between the ages of 18 and 21. They are not getting the experience needed to be top-flight players." "At the moment, I think the Under-21 league is not the answer. I watch these games and it doesn't inspire me an awful lot. I think they need stiffer competition than that, either on loan or playing in a league where there's something to play for. I'm a great believer in the loan system for young players. Get them out on loan, let them play 'real' football." "My thoughts on this B team scenario - It's all about ME, ME and ME from the FA and Premier League, and to hell with the rest of you. Can't be allowed to happen!" "The wealth and riches of Premier League clubs will mean that money will be put into their B teams and in no time you will find the current League One populated by only B teams. It will destroy the whole fabric of the league structure." "If B teams are going to be added to a league below League Two and above Conference, then I don't think it is right because it will upset the clubs in those divisions. Most importantly, is it the right level of challenge for elite players? It needs to be higher than that. The Championship won't buy it, but it is radical change and some people will be deemed as casualties." "Whilst the commission contains in some detail proposals deeply affecting the Football Conference, neither its chairman nor any other members of the board of that particular competition were in any way consulted nor were their views sought directly or indirectly. The Conference absolutely believes in the principle of introducing measures to improve the England national team and although it has not had the opportunity to analyse the report in detail." "I am not against the commission looking at improvements for our national side and more adult contact for our younger players, but they've gone about it the wrong way. Spain has 24,000 Uefa licensed coaches and we have fewer than 3,000, so I'm not sure if it is the B structure in Spain or the coaching structure that makes it tick." "This report focuses its attention at elite player development. But without improving facilities and the quality of coaching at the grass roots throughout our communities, this will all come to nothing." "While the report may not contain a solution that is acceptable at the current time, we should continue to engage with the commission to establish whether there is a solution that meets its stated objective but does not leave the Football League carrying a disproportionate or unreasonable burden." "Who chooses who as a feeder club? It will be so unfair. Everybody will want Manchester United. What happens to a team who have not got that partnership when one team loans eight or 10 players, and another is left high and dry who don't have that partnership? It is not a fair system.